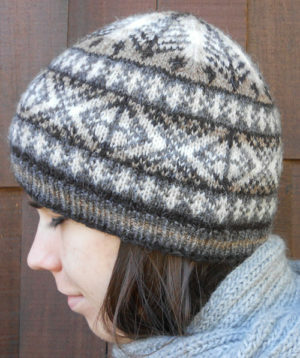 This classic Fair Isle hat is offered in two versions: the Natural version showcases five shades of natural Shetland, while the Winter version reflects the colors of Cascade Pass in December. The hat can be knit as a close-fitting cap or as a more loose-fitting hat—a simple change in gauge makes the difference. 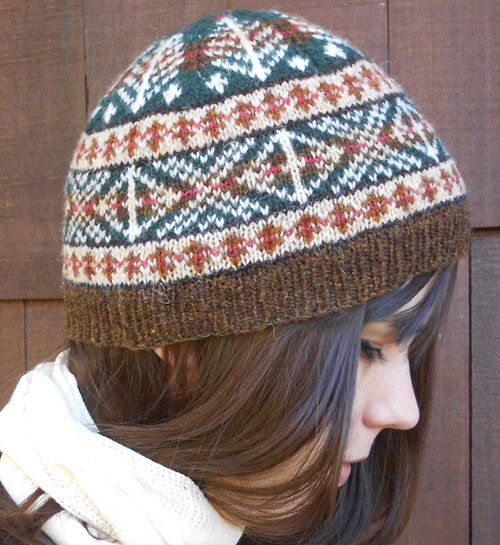 This pattern is available as a pdf download administered by Ravelry (you don’t need to be a member)–when you press Buy Now you will be sent to a separate PayPal page. What Is a Feral Knitter? 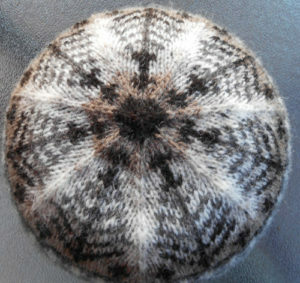 In 2003 I was setting up a Fair Isle color study sub-group of the Seattle Knitters Guild. A non-knitting friend, overhearing the discussion, asked me, apprehension thick in her voice, "Janine, WHAT is a feral knitter?" The name stuck. A feral knitter is someone who loves color knitting, playing with color combinations and garment shapes, and learning about construction and fit.